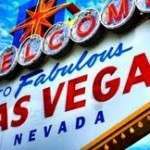 Nevada’s fast-tracked amendments to its previously-legalized online poker measure have been passed and signed into law in record time, with both Nevada legislative bodies approving — and Governor Brian Sandoval signing — the latest measure within a scant four-hour period on late Thursday. The easy sailing for Assembly Bill 114 included several changes designed to react to political developments elsewhere within the US, including the authorization of interstate online-poker compacts with other states and countries, without any need for prior federal approval. That change was the first first amendment in AB 114 to be publicly leaked, and might not only be a reaction to December’s collapse of the Reod-Kyl bill at the federal level, but possibly even an impetus for it. Though no one has ever conformed the source, the leaking of segments of the Reid-Kyl bill in Politico late last year included bill language so onerous that it contributed to the bill”s demise. The leak was generally attributed to a source in the office of the Democratic Majority Leader, Sen. Harry Reid. What’s interesting is that now, with the passage of the bill, Nevada is in an even stronger position relative to other states, a fact certainly lost on neither Reid nor his important casino backers. Now that the process has played out, the reasons Reid would have had for scuttling his own federal legislation are now clear. The prospect of intrastate online poker without federal interference? That’s a big, big deal, and comments by bill opponents that state-by-state compact negotiating might provoke federal legislators into invoking the Commerce Clause seem to be sour grapes. Mukti-state lottery compacts work exactly the same way, and the feds have never threatened to use the Commerce Clause to impact those. 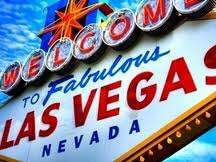 But Reno gaming analyst Ken Adams said other states that might want in on the online gambling business could decide to contest Nevada’s role in establishing parameters for online poker and expansion to other games down the road. With all due respect, I think that’s flimsy; whether it’s the USA Today trying to manufacture cheap controversy or a minor gaming analyst having a fun little moment of devil’s advocate is left to the reader to decide.. While Nevada is certainly taking steps to open an interstate online-poker in a form favorable to its own corporate interests, there’s no reason that any other state can’t launch its own interstate effort in a manner it sees fit, at a time of its own choosing. Other states are moving forward as well, but it seems highly spurious to suggest that a state could refuse to enact online-poker legislation for any reason, then attempt to sue another state somewhere down the road for passing a regulatory law years before the toe-draggers decided to join the fun. The “bad actor” provisions that were part of AB 114 (and which will presumably affect any plans by PokerStars to re-enter the Nevada market in the future) remained a part of the bill, but an amendment to increase licensing fees was pulled down before the measure swept through the Nevada legislature.